Cassandra Willyard is a freelance science journalist based in Madison, Wisconsin. The pet-shop mice are about to get new room-mates. Each one will bunk with a group of shiny black lab mice, sharing food, water, bedding and, most importantly, pathogens. Until now, the lab mice have been kept in a squeaky clean environment, free from most diseases, so some will fall ill and die. The rest will develop more robust immune systems, more like those of wild mice — and, arguably, humans. What Pierson is doing breaks the rules. For more than 50 years, scientists have worked to make lab mice cleaner. In most labs today, the animals’ cages are sanitized, and their water bottles and food are sterilized. “We really go to great lengths to keep natural infectious experience out of the mouse house,” says David Masopust, an immunologist at the University of Minnesota who heads the lab where Pierson works. Those efforts have paid off: with the confounding effects of pathogens controlled, mouse experiments have become less variable. But a raft of studies now suggests that this cleanliness has come at a cost, leaving the rodents with stunted immune systems. In a quest for standardized and spotless mice, scientists have made the creatures a less-faithful model for human immune systems, which develop in a world teeming with microbes. And that could have serious implications for researchers working to usher treatments and vaccines out of the lab and into the clinic. Although it’s not yet possible to pin specific failures on the impeccable hygiene of standard mouse models, Masopust thinks the artificial environment must have some effect. It’s no secret that the success rate for moving therapies from animal to humans is abysmal — according to one estimate1, 90% of drugs that enter clinical trials fail. “You have to wonder if you might sometimes get misinformed simply because you’re in a clean environment,” says Masopust. To answer that, Masopust started comparing the immune systems of lab mice to those of mice he had trapped in barns and bought from pet shops. Lab mice had many fewer cancer- and infection-fighting memory T cells — immune cells that have previously been exposed to pathogens — in their blood. They were also almost entirely lacking T cells in other tissues in the body. Humans, wild mice and pet-shop mice are swarming with these tissue-resident memory T cells. 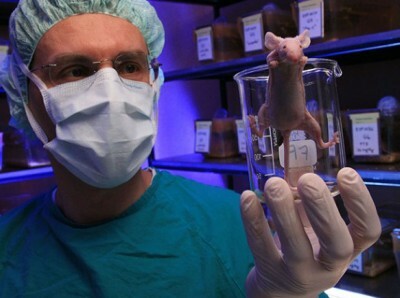 Overall, the lab mice’s immune systems looked less experienced, more like that of a human infant than that of an adult. Masopust suspected that past infections played an important part. If so, he thought he might be able to induce changes in the lab mice’s immune systems by exposing them to infectious agents. 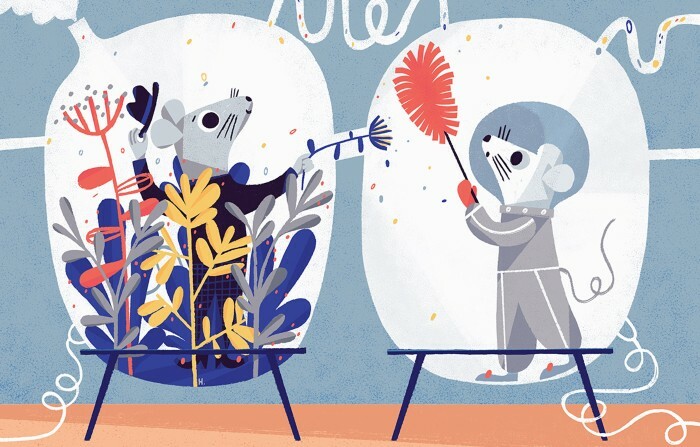 If the lab‑mouse problem was cleanliness, could he make them dirtier? He devised a seemingly simple experiment: he would drop a pet-shop mouse into a cage with several lab mice. The lab mice would pick up whatever the pet-shop mouse was carrying — everything from fur mites and pinworms to mouse hepatitis — and perhaps become immunologically more like the pet-shop mouse. This co-housing approach would let the researchers “take our cherished well-defined inbred strains and push them closer to the kind of normal immune experience that a human would have”, says Stephen Jameson, a University of Minnesota immunologist who collaborates with Masopust. But there was one major hurdle: the researchers had nowhere to put the germ-ridden rodents. “The last thing I want to do is contaminate my colleagues’ mouse colonies,” Masopust says. When he first discussed the experiment with the animal-resources staff, “it definitely induced heart palpitations”, he says. But in a stroke of good luck, the university was about to construct a high-containment laboratory in Masopust’s own building. The facility was designed for biosafety-level-three (BSL-3) research, meaning that it would securely contain pathogens that can infect humans. But it would also prevent mouse pathogens from spreading to other mice. In 2013, Masopust and his colleagues managed to secure a room there. “I was lucky,” he says. “It was under-utilized. They needed revenue. That helped them be open-minded.” Today, that room houses 500 mice in plastic cages, each one containing a handful of sleek lab mice and one scrappy pet-shop mouse. After a month bunking with the pet-shop mice, the newly dirty lab mice had many of the same immunological features as wild and pet-shop mice2. They had more differentiated memory T cells than normal lab mice, and they developed tissue-resident memory T cells. The standard lab mice looked immunologically similar to newborn babies in terms of which of their genes were more or less active, but the gene-activity profiles of pet-shop and co-housed mice were closer to those of adult humans. 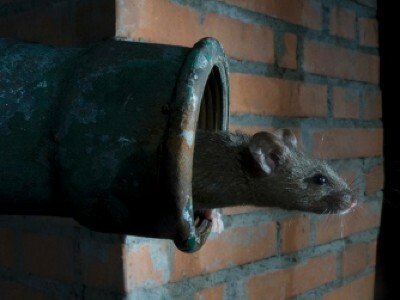 The dirty mice also mounted much greater resistance than clean mice when the researchers infected them with the bacterium Listeria monocytogenes: three days after infection, the number of bacteria they were carrying fell by more than four orders of magnitude, a response comparable to that of lab mice that have been vaccinated against the bacterium. Soon after Masopust began work in the BSL-3 lab, Herbert Virgin, an immunologist at Washington University in St. Louis, Missouri, and his colleagues independently embarked on a similar project to understand the immune systems of lab mice. But rather than using pet-shop mice to transmit infections, they decided to transmit the infections themselves, an approach that offered more control than co-housing. “As somebody who also has trained as a virologist, I like to know what the pathogen is, going in,” says Tiffany Reese, a member of Virgin’s lab at the time, and now a viral immunologist at the University of Texas Southwestern Medical Center in Dallas. They selected four pathogens: two types of herpesvirus, one influenza virus and an intestinal worm called a helminth that chronically infects the small intestines of mice. The pathogens were all similar to those that often infect children in developing countries. The researchers gave the mice the infections one at a time and allowed the animals time to recover before administering the next infection — in much the same way as humans get an infection, recover, then get another. Another group of mice received mock inoculations with saline. The final immune challenge was a vaccination against yellow fever, which uses a live but weakened form of the virus. Like Masopust’s group, the researchers noticed significant changes in the sequentially infected mice3. They differed in their gene-expression profiles and in their response to the vaccination: at first, both groups had the same antibody responses, but a month later, the co-infected mice had lower antibody levels. It’s not clear yet whether this difference affected how well the vaccine worked. “I think the jury is out about whether it has any specific utility,” Virgin says. Still, he hopes that these dirtier models will lead to greater mechanistic understanding of the immune system. Other researchers have bypassed the pet shop in their quest for dirty mice. Immunologist Stephan Rosshart at the US National Institute of Diabetes and Digestive and Kidney Diseases (NIDDK) in Bethesda, Maryland, has driven hundreds of kilometres, visiting horse barns throughout that state and the District of Columbia to collect wild mice. Rosshart had joined the lab of NIDDK immunologist Barbara Rehermann in 2013, and the two began poring over the literature on the microbiome, the collection of microorganisms that live on and in a larger organism. The studies showed that the microbiome has a huge influence on the immune system, but most of the papers they found were based on a comparison of two types of lab mouse: some with a lab-derived microbiome and others with no microbiome at all. What would happen, Rosshart wondered, if he gave a lab mouse a wild microbiome? That would preserve the mouse’s genetic background but push its physiology closer to that of its wild cousins. Rosshart had specific requirements for his wild-microbiome donor: he wanted an adult, genetically similar to a lab mouse and free of pathogens so it didn’t risk infecting other mice at the US National Institutes of Health (NIH). “I tried to convince Stephan that that’s a very bad research idea because it’s very difficult,” says Rehermann. But Rosshart could not be dissuaded. So each morning, he drove to between 3 and 10 barns, emptied more than 100 mouse traps and drove back to NIH with the mice. He then dissected them and preserved their tissue and faeces. In the evening, he retraced his route, collecting even more mice and baiting new traps with peanut butter. His days began at 4:30 a.m. and ended around midnight. He followed this routine seven days a week for two months. “When you do this for, like, one week it’s fun, but after a while it gets very challenging,” he says. By the end, Rosshart had handled more than 800 mice. He and his colleagues selected three with the right genetics and no sign of pathogens. They transferred microbes from the animals’ faeces to pregnant germ-free mice. When those mice gave birth, they passed this microbiome to their pups. The team compared this group with germ-free mice that had a microbiome derived from the sanitized lab environment. Then they infected the mice with a mouse-adapted flu virus; 92% of the wild-microbiome mice survived, compared with just 17% of mice with the standard lab microbiome4. The wild-microbiome mice also developed less-severe disease when the researchers exposed them to chemicals that cause colon cancer. “The provocative hypothesis is that if you make a mouse more like a real mouse in the natural world, this becomes a better model for humans who also live in the natural world,” Rehermann says. More wildness doesn’t always lead to greater infection-fighting power, however. Last month, Andrea Graham, an evolutionary ecologist at Princeton University in New Jersey, and her colleagues showed that letting lab mice re-wild themselves makes them more susceptible to worm infections5. Graham gave her lab mice free run of eight outdoor enclosures. When she released the first batch, they immediately began exploring the enclosure, digging burrows and sampling new food. “They were blissed out. They pulled a couple of all-nighters,” she says. The microbes they encountered significantly affected the mice’s ability to control some types of parasite. Mice in Graham’s lab tend to clear parasitic infections rather quickly. But outdoors, “within a couple of weeks they had huge worm burdens”, she says. The researchers are still trying to unpack why that might be, which could help to reveal how the immune system works in a more natural environment. Perhaps the system prioritizes fighting deadly microbes — viruses and bacteria — over less-fatal infections such as worms, says Rosshart. “The immune response cannot be perfect against everything,” he adds. The dirty models have generated a great deal of excitement. “In many ways, they are landmark studies,” says Alexander Maue, head of microbiome products and services at Taconic Biosciences, a breeder and supplier of lab animals based in Rensselaer, New York. These dirty mice, he says, will allow researchers “to look at different mechanisms of protective immunity that you wouldn’t find in the normal mouse model”. But researchers don’t yet know which models will work best for which research questions. In Masopust’s version, for example, each group of lab mice gets a different cocktail of pathogens. That’s both a curse and a blessing, Masopust says, because humans are variable, too. In Virgin’s design, the mice get a defined set of pathogens, but the impact on the immune system isn’t quite so robust. Even recreating such a simplistic version of the wild in a lab is a headache, says Virgin. “I don’t think people have any question that this is important, but actually doing the experiments requires a lot of infrastructure.” The wild-microbiome model gets around many of the problems of working with pathogens, but as Rosshart well knows, catching wild mice comes with its own challenges. Whether dirty mouse models represent the human condition better than standard lab mice — and provide a better testing ground for drugs — also remains to be seen. The ideal experiment would involve taking a therapy that failed in clinical trials and retesting it in the new models to see whether the results match what happened in humans. That’s exactly what Masopust’s group is doing, working with two drug companies. One has a therapy that failed in human studies, and the company would like to know whether the dirty mice could have predicted that failure. Another asked Masopust to use his mice to test a candidate therapy that works well in clean mice. The preliminary data suggest that it does not have much of an effect in dirty mice. Colonies of dirty mice are springing up in other places. Daniel Campbell, an immunologist at the Benaroya Research Institute in Seattle, Washington, received a grant from the NIH last December to set up his own collection. He and his colleagues want to test treatments they have developed for autoimmunity, in which the immune system starts attacking healthy tissues. Therapies for such conditions seem to work well in pathogen-free mice. But “a lot of those have not translated real well into humans”, he says. Campbell thinks dirty mice, which have a more developed immune system than standard lab mice, might be a more realistic model in which to test those therapies. For example, they might allow researchers to better detect unwanted side effects. “The concern is safety,” he says. Hay, M., Thomas, D. W., Craighead, J. L., Economides, C. & Rosenthal, J. Nature Biotechnol. 32, 40–51 (2014). Beura, L. K. et al. Nature 532, 512–516 (2016). Reese, T. A. et al. Cell Host Microbe 19, 713–719 (2016). Rosshart, S. P. et al. Cell 171, 1015–1028.e13 (2017). Leung, J. M. et al. PLoS Biol. 16, e2004108 (2018). Abolins, S. et al. Nature Commun. 8, 14811 (2017).